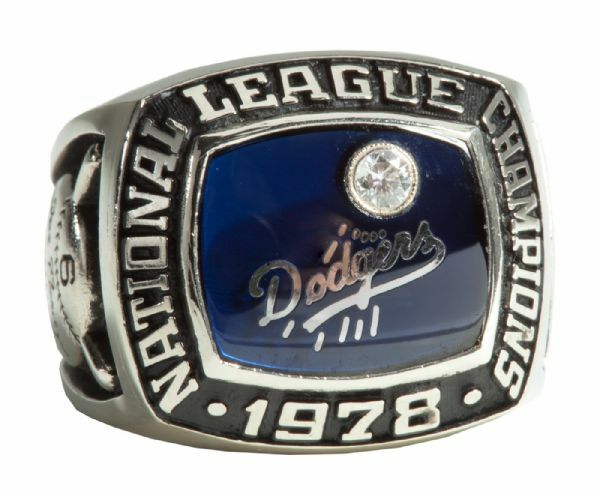 1978 was a virtual repeat of the 1977 season with the Dodgers downing the Phillies once again in the National League Championship Series to advance to the Fall Classic, only to fall to the dreaded Yankees by the same 4 games to 2 margin. Garvey’s 1978 NL Championship ring features a single diamond set as a baseball motif in the Dodgers logo on the face of a Dodger blue stone with “NATIONAL LEAGUE CHAMPIONS 1978” encircling the perimeter. 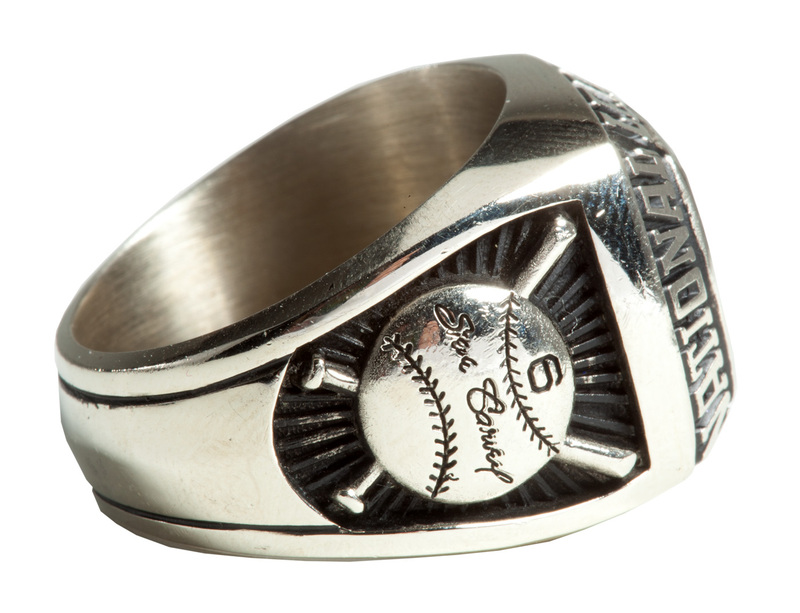 A large baseball and crossed bats design with “Steve Garvey” in script and his uniform number “6” adorn one side. The other side has a large “LA” along with the Dodger pavilion scoreboard displaying the numbers “3.347.845”. 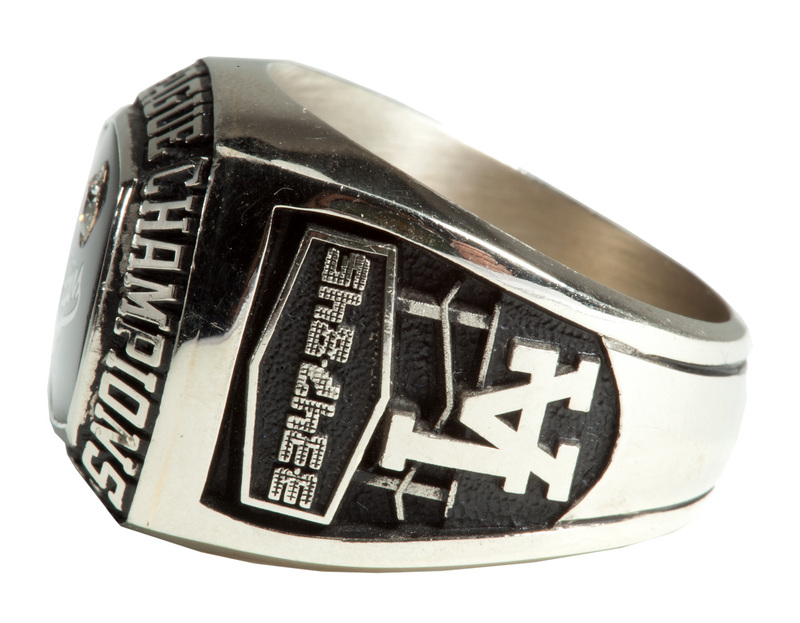 The Dodgers became the first team in baseball history to draw over 3,000,000 fans with 3,347,845 total attendance during the memorable 1978 season. “BALFOUR 14K” stamped on the inside. Size 11 1/4.